Day Two of the National Champs and the medals kept coming! Hamish kicked off the day with a great run of 2:06.28 in the 800m heats. Beth ran a great heat on the 60m with a time of 8.22, which earned her a place in the semi-final where she ran another great run of 8.27. Alasdair ran a strong heat in 2:16.41 giving him a place in the final where he won Gold in a great time of 2:05.58! 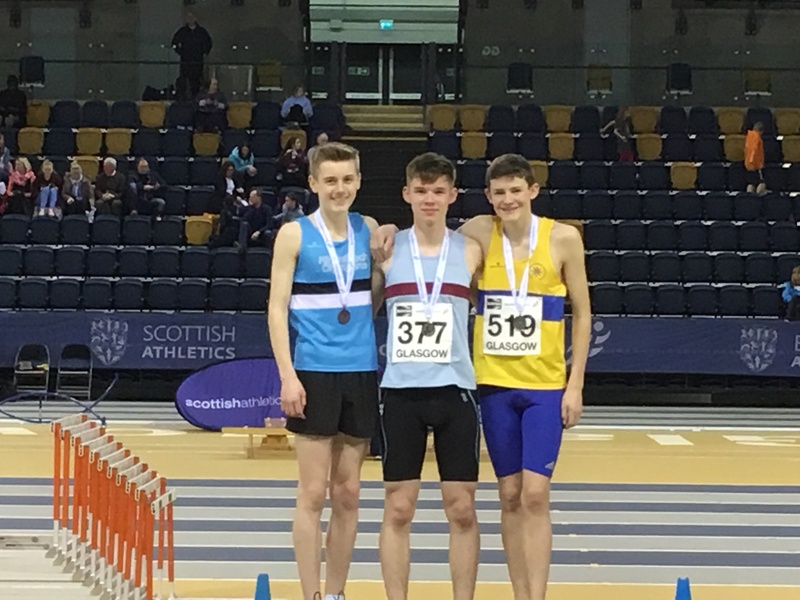 Calum then ran a very strong heat in the 1500m in a time of 4:35.35, earning him a place in the final, where he finished 5th against a strong group of boys. Paul finished the day for the u15 boys with an impressive throw of 8.53 in the Shot Put. 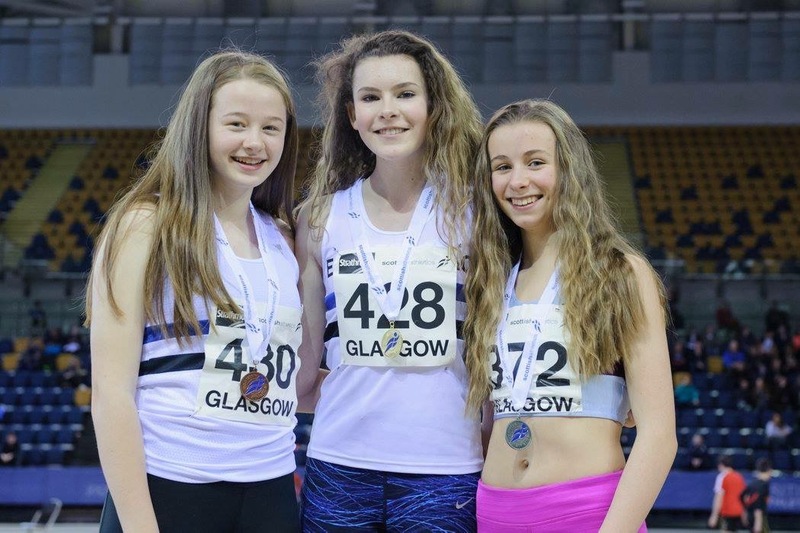 Firstly, best wishes from the club to Aimie, who sadly had to pull out of the Triple Jump due to injury. 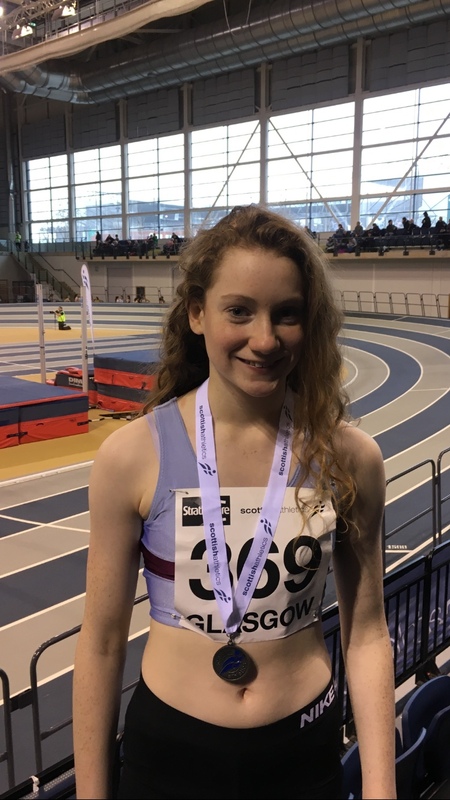 Amy kicked off the day with a PB in the 60Hurdles of 10.27, before she headed to the Shot Put, where she picked up a Silver medal with a throw of 10.35m against a very strong group of girls! She then ran to the 60H Semi-Final where she ran another PB of 10.25. Hannah then completed the day for the U15 girls. She started the day in the Long Jump, finishing in 6th place with a jump of 4.78m. Shortly after, she returned to the sand pit for the Triple Jump, where she picked up a Silver medal with a jump 9.53! A huge well done to all our athletes who have competed over the last two days, they have all been a credit to the club!